We are a full-service tree company typically running two to three crews with chipper trucks and wood chippers. We use new and advanced equipment, giving us a visible cut above the rest. We operate on weekdays, from 7 am to 5 pm depending on the quantity of work. We respond very quickly to clients and work on creating memorable first and last impressions. We have been in business for more than seventeen years, handling a mixture of trades, improving and transitioning to finally end up specializing in tree care, trimming, and removals. We are like an acorn planted many years ago, that grew into a large, beautiful, healthy tree. We usually work within 30 to 40 miles from the DFW airport. We would like to extend our work to the entire DFW area but are cautious about growing too fast, always putting service before growth. We are a business growing and changing with the times, on a path to constant improvement, receiving most of our feedback through verbal reviews from clients. Getting the right certifications are a must in our industry, and we strive to get all our employees to train toward that goal. However, as with any profession, it takes time, dedication, and determination. We serve all types of clients and are open to any needs or wants they might have. Some just want us to educate them on the right decision, others prefer not getting involved, as long as the job is done, while the rest want credentials, background checks, and to make sure we know what we are doing. Everyone’s a little different, so we try to cater to our client’s varying needs, wants and specificity. We increase efficiency and creativity when serving our client’s needs and wants. One aspect that makes us second to none is our attention to detail from the initial phone call, to a free estimate, competitive pricing, scheduling the work, doing the work and finishing the work. Every detail matters to our team, and we take our job very seriously! Our primary strength is the amount we value what we do. We are thorough with everything we handle and put in additional effort, so we are satisfied with the end result, before our clients. With that, we can be sure our clients always come back or refer us to others. This sets us apart from the rest of our competitors. Most of our clients work with us as we truly value what we do, our client’s response to our work, and their satisfaction when they see a completed job. We keep increasing our level of professionalism with every passing day, job, and client. As far as our employees are concerned, we offer bonuses in cash when they reach specific goals. Moreover, we have monthly employee appreciations and quarterly Acorn awards for excellence to those who exhibit our core strengths and goals. 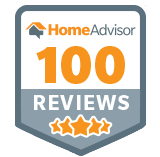 Our most noteworthy achievement has been our list of satisfied client reviews from year to year. We enjoy hearing good reviews and strive to make amends when we do fall short of an unsatisfied client. Our dreams are to grow large enough to add other services beneficial to our clients. This will enable us to provide a more rounded, and quality service, and grow our opportunities as a company. We support training and a picnic day. We also take some on competition trips as they come available throughout the year. While we are really passionate about what we do, we also care for the environment and recycle all the debris or wood that we bring in via other companies. Some of these companies reuse and sell to customers who need mulch. We also believe in giving back to society and as part of that belief, support local sports teams, allocate our time to special city needs and donated our time to someone in need within our service area. To learn more about all that we do at Acorn Tree Services, please click here. If you have any questions about how we can help you, we’d love to hear from you. Please contact us here.